Psychiatrist is a word that can never give a first positive impression. The Word psychiatry is itself a mix of skepticism and praise. A person who has gone through mental illness or have visited a psychiatrist ever in life, can understand the thin line of difference between skeptics and praise and those who have not, it is difficult for them to understand the methodology. More than the reality there are more myths spread about psychiatry. In this blog today I am going to debunk the most common myths about psychiatry and psychiatrist. The reality is far from the myths, so you must give your attention to the things. 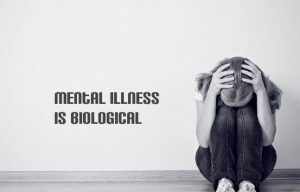 Reality: Mental illness has noting related with genes. Only there are few diseases like schizophrenia which can be transferred from the genes but there are only few percent chances of the same. Not all the mental problems are spurred by genetics. Environment, trauma, and other illnesses are just a few of the many factors that can bring forth mental illness in an individual. Reality: Mental illness is other sort of illness only which can be cured if treated on time. People think that once a mental patient will always remain a patient but this is not right. Most of the patients who visit psychiatrist actually have an illness or imbalance that is causing a mental discrepancy. Once that discrepancy is treated, the disease is gone and they are no more ill. Along with this it can also not be denied that there are patients who need a long time treatment and once can see the slow results in them. But definitely it is not a disease which cannot be treated. Patient recovers depending on the mental illness type. Reality: This is one of the most common myths about psychiatry. People think that only those who are crazy or whose mental condition is not okay or up to the mark visit the psychiatrist. This is not right. In many cases it has been found that patients who are ill and are undergoing treatment for any other disease they visit psychiatrist. They lose their mental strength to fight with the disease and a good psychiatrist would treat them well. So, once they are treated they are no longer ill. In most of the cases psychiatrist work with the patient to manage and treat their anxiety. Reality: There is a myth about the psychiatrist. People think that they will not give Talk Therapy and they would straight away give medications for the disease. ‘Talk Therapy’ can arguably be one of the most effective treatments used by Psychiatrists. If you will visit a good psychiatrist then you will find that they are treating the patients only with this therapy. They can mix other treatments with talk therapy to ensure the patient will come out of his mental illness. More than medication a mental patient needs counseling and this is what a reputed and experienced psychiatrist would provide. Reality: A person is not treated for illness but he is treated for his mental state by the psychiatrist. Every patient is different and so as the treatment required for the same. If you will visit a good psychiatrist then he will never force you for medications. Even a good counseling can cure the mental illness. Reality: A very common question that psychiatrist come across is that, how they differentiate between a mental patient and a normal person. How they draw the line and what are their norms. Like while treating the tumor the lab reports would decide that whether it is benign or cancer the same goes with mental illness. The psychiatrist determine a diagnosis when the behavior becomes debilitating and the patient can no longer go about their daily lives as they have in the past. Reality: People hesitates going to psychiatrist because of a very common myth spread about them. 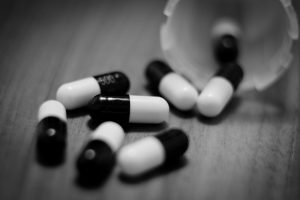 People do believe that any medication out there can cause negative effects for a patient if taken too long or given the wrong dosage. Consulting a good psychiatrist would confirm a good treatment. With the right treatment of and dosage the mind of patient will become less consumed by hallucinations, delusions, and irrational anxieties. This will lead to another healthy and positive personality change. Reality: Well, this is a myth that we wish could be true. People think that mental illness is uncommon but this is not. According to the research one out of five is a mental patient across the globe. The data is definitely an alarming situation and warns that how the change in the daily routine is leading to diseases like this. Reality: Consulting someone regarding the disease does not mean that you are crazy or weak. There are many people who tend to hide their mental illness because they think if they will disclose then they would be stamped as ‘crazy’ or ‘weak’ by the society. Asking for help is actually a very brave and empowering thing because you are acknowledging your own human, natural limitations. In fact, you are brave that you are looking for the ways to cope up with the disease. These are the most common myths about psychiatry and psychiatrist. Do not believe in the rumors spread about anything. You should analyze the things prior before taking any decision. If you are finding some type of mental issues then you should consult a psychiatrist timely. This would not tag you as ‘crazy’ but would definitely lead your way to happy life ahead. When a person knows about a disease well then only he can fight with the same and can also recover at the best time too. One disease that we often hear nowadays is schizophrenia. As per a survey conducted by World Health Organization, around 24 million people in the world suffer from the problem of schizophrenia. Men and women are equally affected from schizophrenia. As it is a chronic and severe mental disorder, people should be aware of it so that it can be controlled within time. 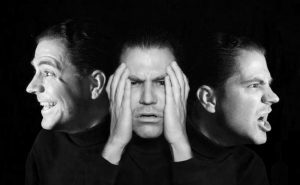 Schizophrenia is a long-term mental health problem where a patient often experiences delusions, hallucinations, social and emotional withdrawal and unexplainable behaviour. The worst thing about the disease is that for the patient, it becomes really difficult to differentiate between reality and imaginary things. Schizophrenia seriously disturbs the way people think, feel and relate to others. Based on the many researches which have been conducted on the disease, the exact cause of schizophrenia is not yet known, but the different theories do suggest some possible reasons that are mentioned below. Genetic: Researches says that the disease has a strong connection with heredity. People who have first degree family member suffering from schizophrenia have a higher chance of having this kind of mental disorder. Several genes are responsible for the increased risk of schizophrenia but there is not any particular gene found that could be solely held responsible for the same. Environmental Issues: Well, this may be surprising for people to know but the environmental issue does have their relevancy in the disease. Stress during pregnancy increases the production of the hormone known as cortisol in the body. This hormone can trigger schizophrenia. Other factors that may cause schizophrenia are viral infection during the prenatal stage, low level of oxygen at the time of birth, viral infection during infancy, malnutrition before birth, taking marijuana during teenage days and suffering from some kind of abuse in childhood. Abnormal Brain Structure: If there is abnormality in brain structure then it may also cause schizophrenia. For instance, enlarged brain ventricles can cause schizophrenia as it affects the planning and decision making capacity of the brain. Experts also suggest that imbalance in the neurotransmitters dopamine; glutamate, temporal lobes and amygdale can also cause schizophrenia. The disease can be understood better when one can spot the symptoms well. We are here mentioning the symptoms of schizophrenia that could help in getting speedy treatment for the same. 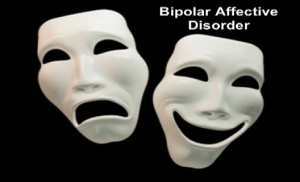 Actually it is a disease in which a person is unable to understand what is real and what is not and hence there are few symptoms that could help in knowing if the person is suffering from schizophrenia. A person who is suffering from schizophrenia hears the voices that might not be there. It is a type of hallucination. 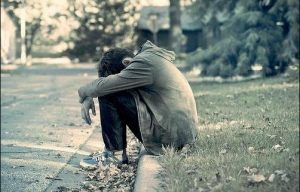 An unknown fear is always surrounded by when a person is suffering from the disease. It is also referred as paranoia. A person who is suffering from schizophrenia withdraws from the social circle. The decreased social involvement is a sign that something is not right with the mental health condition of the person. Depending on the symptoms the disease is classified into five different forms. We are mentioning the different types of schizophrenia below. These are the most important things that you should know about the disease. If you have someone who is having the symptoms of schizophrenia then it is required that you should consult a good doctor for schizophrenia treatment for the same. Consulting Dr. Shashi Bhushan could be a good choice as he is a reputed psychiatrist in Delhi who specializes in many health diseases. A human brain tends to become more forgetful with aging, but dementia is totally different and dangerous too. It is a mental problem which though starts with brain but with the passage f time, it affects the several other parts of body as well. Alzheimer or dementia is a very common mental disease in which a person tends to lose his memory or faces the diminished cognitive skills. 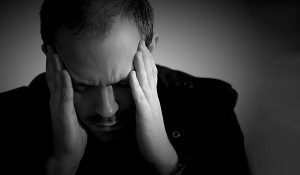 When a person is suffering from the disease then he faces difficulty in coping with day-to-day task, other than this he also faces difficulty in communicating and the change or fluctuation in mood or judgment or personality is also the strong symptom that defines the disease. We have always been mentioning that understanding the disease is always required if you want to fight back with the same strongly and hence we are here presenting 10 facts about Alzheimer dementia that you should know. Women Have a Higher Risk: The most interesting fact about the disease is that women have a higher risk of getting dementia. As per the research conducted, it has been found that nearly twice as men; women are the sufferers of the disease. Also the Alzheimer disease also worsens more quickly in women as compared to men. Heart Diseases Can Risk of Getting AD: Any suffering from heart disease can make a person more likely to get AD too. High blood pressure, high cholesterol, diabetes, poor diet and non-active lifestyle can also risk in getting AD to a person. Education Can Lower Risk of Alzheimer: A recent research conducted on Alzheimer is really interesting to read. It says that the more education a person has, the lower the risk of Alzheimer disease. 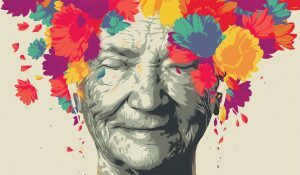 A person has lower odds of getting Alzheimer if his brain is active in old age and is involved in the activities like reading, listening to music or taking classes. AD is a Leading Cause of Death: This is really something sad to know about the disease that it has been found that Alzheimer is a leading cause of death in many parts of the world. Amongst one in three seniors die due to Alzheimer the research says. Unique among Causes of Death: Well amongst the top ten causes of death, it has been found that this is the only disease in which there is no method of prevention; curing or slowing it down and hence it is considered to be a unique cause of death. 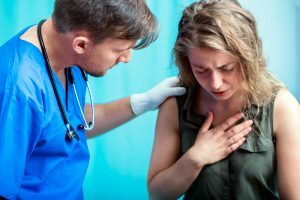 Costly Disease: The cost of treatment of the disease rose with the passage of time, and till now it has been found that it is amongst the costly disease to cure. As it is a life taking disease and is the cause of death of one amongst the three seniors, hence treatment is becoming expensive day by day. Discovered in Last Century: It’s been a decade of the discovery of this disease. A German doctor named Alois Alzheimer first observed AD in 1906. He described a patient known as Auguste D. who had memory loss and other problems with thinking. After the patient’s death, Dr. Alzheimer noted that parts of the patient’s brain were shrunken. A psychiatrist who worked with Dr. Alzheimer named the condition in 1910. Linked with Loss of Sense of Smell: A person who is suffering from AD may lose the sense of smell. 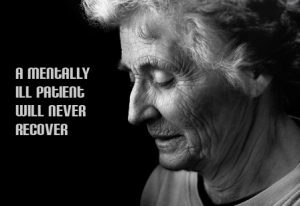 Several researches conducted on the same suggest that a change in the sense of smell is an early sign of Alzheimer dementia. Life Expectancy Varies of Patients: The time taken for Alzheimer to spread in a body varies from person to person, so it is actually a difficult thing to make out how long a person would survive after the disease. The research says that older adults usually live three to four years with AD. It is Not a Disease: Dementia is caused by lot of different diseases and hence it is not a disease in itself. These are 10 most important facts about Alzheimer disease. It is always a requirement that one should understand the disease better. Consulting a trained psychiatrist for the treatment of Alzheimer on time can help in long life expectancy. 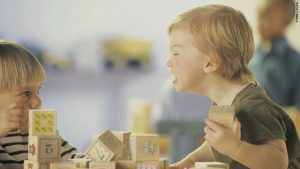 Empty nest syndrome is a feeling of loneliness or sadness that occurs among parents after children grow up and leave home for better prospects. 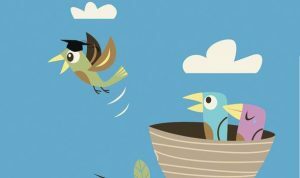 Empty nest syndrome is not a clinical diagnosis, but rather describes a transition period in which many people experience feelings of loneliness or loss. When the time comes for your children to leave home, there is a sense of helplessness and this is the most challenging period. 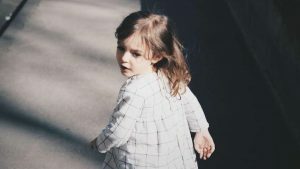 Whatever the child’s flight path, parents are left with an empty place in the home, or as it have been dubbed in the vernacular, ‘the empty nest’. How you choose to cope with this new reality as parents of a now independent adult will determine the speed and comfort level of adjustment. 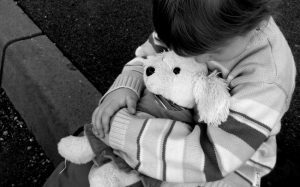 Undoubtedly a child’s departure unleashes overwhelming sadness and there is a dire need to cope with it efficiently in order to move ahead. R- Relish each stage of your child’s life. Then let it go. E-Explore the Ways You Intend To Be In Touch With Your Children. D- Discover Your Own Creativity and Power. E- Energise yourself, both mentally and physically. F- Focus on Friendships, Both New and Old. It is required that for the better way to deal with this syndrome the timely advice of psychiatrist should be taken. Dr. Shashi Bhushan who is a reputed doctor for psychiatry treatments should be consulted for the same. He has successfully handled many cases of empty nest syndrome. 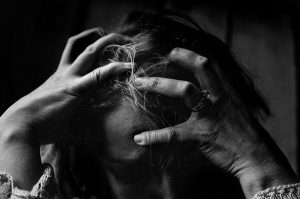 As per the recent researches which have been conducted it has been found that millions of adults experience panic attacks and it has been found that it is a deliberate side effect of some mental health disease. Only the loved ones or the people concerned can help a person to come out of the disease and to fight with this worst thing in the most positive manner. If you have someone close to you who is suffering from panic attacks then this article is worth sharing and worth reading for you. In this article, we are going to highlight as how you should handle when someone you love is having panic attack. It is not Cries for Attention: The first thing is that you have to understand the disease better. It is definitely not the cries for attention and hence need to be handled patiently considering the mental condition. 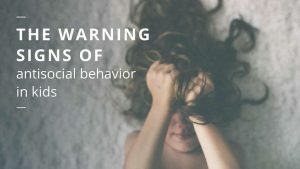 Saying ‘Just Relax’ Is Not the Way: The biggest mistake that people do consider while handling someone with panic attack is by telling them to relax. But, this is definitely not the way to treat the disease. The best advice is that you should just listen to the person having the panic attack on what his or her needs are and let the panic attack pass unless it gets out of control. It is More Than Excessive Stress: They are much greater than feelings of anxiety. Panic attacks feel like impending death and doom. Sometimes people get the same feeling of stroke when they are trashed by panic attack. 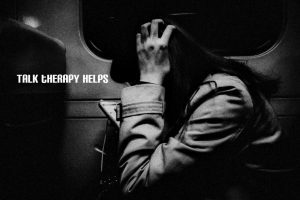 Comfort the Person: The panic attack can’t go completely without the proper treatment and more than this; the mental support of loved one is also required. You should understand their feelings better, and should provide the mental support and fill them with the positivity that they can come out of this. Consulting a good and renowned doctor for panic attack treatment will help to fight the disease when at the early stage only. Dr. Shashi Bhushan is a trusted doctor for panic attack treatment in Delhi. You can consult the doctor for the best treatment of the disease. Internet has simplified our life and there is no doubt on this. From getting grocery to booking an appointment online; everything is simplified with the ease of internet. Now, with the ease of internet you can do one more thing and that thing is booking an appointment with psychiatrist and that too in Delhi. Mental illness is one amongst the complicated diseases and it is because most of the time people are not aware with the suffering of the same. People in most of the cases get to know about the disease when it is already too late for everything. So, it is always suggested to be aware about the changes in behavior in self or someone close. 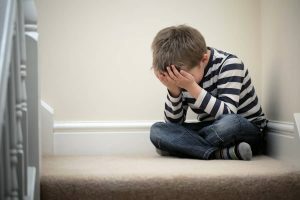 If you are noticing some behavioral change then it is required to take it seriously and consult a psychiatrist at the earliest. There is a concern of many people. They consider that consulting a psychiatrist means that they are suffering from some mental disease, which is not always true. A specialist can make out the changes in behavior and could suggest the best way out to cope-up with the same. It is better to consult a specialist then to regret by the end. Mental illness is never something which is not dangerous and there are people who take it casually and regret for the same by the end but this should not happen. Sometime the mental disease could be so harmful that it can even take the life of a person so, the sooner the better. Nowadays people are so busy in their daily routine that waiting for hours for the doctor appointment is not their piece of cake and hence they avoid visiting the doctor. This happens with many. To bring an ease for the patients now one can book appointment with psychiatrist in Delhi online. Yes, this is great news for people residing in Delhi and who want to consult the top psychiatrist in the area. Dr. Shashi Bhushan who is a renowned doctor for psychiatric diseases can now be approached easily. 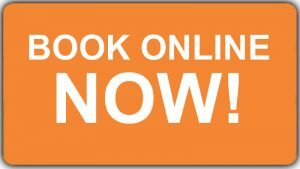 You can take an appointment online or call at the clinic to book your slot. This is definitely a great step for those who are always running with the shortage of time.